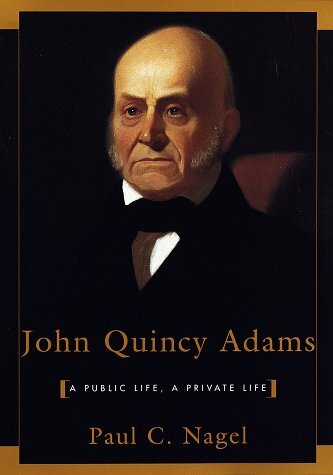 “John Quincy Adams: A Public Life, A Private Life” by Paul Nagel was published in 1997 and represents the first significant biography of JQA following Marie Hecht’s 1972 biography. Nagel’s biography was also the first to draw upon his complete (and voluminous) diary. Nagel, who died in 2011, was an author and historian, and spent time as a professor at the University of Georgia and University of Kentucky. Nagel’s “John Quincy Adams” is unique among the three dozen presidential biographies I’ve read thus far as it was principally written from the perspective of John Quincy himself (perhaps more accurately, someone closely shadowing him and reading his thoughts). Using Adams’s diary as inspiration, and invaluable eyewitness testimony, Nagel paints a portrait which shows Adams as a brilliant, complex, strong-willed, endlessly self-critical and probably clinically depressed individual. The result of this work is a deeply insightful understanding of a fascinating individual whose talents were (ironically enough) hardly visible during his four years as president. A minor issue with this unique perspective is that Nagel’s biography is almost a re-telling (and self-critique) of Adams’s life through the subject’s own eyes. As a result, historical events which did not concern Adams or receive much of his focus could easily be lost. To Nagel’s credit, he bridges the occasional gaps in JQA’s diary with a historian’s perspective of important moments in American history, never allowing the reader to wander astray. Nonetheless, Nagel remains more a storyteller than analyst, leaving final judgement of JQA’s successes and failure to the reader. 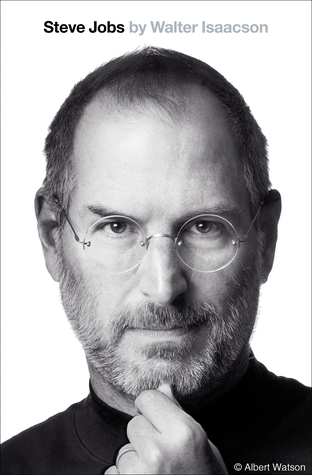 Nagel’s biography is organized into five sections, each containing three chapters, and runs strictly chronologically. As a result – and owing to his straightforward writing style – the book is very easy to read and to understand (although the content often tends to be dense). A few readers have noted Nagel’s tendency to allow the biography to wander into detail that seems irrelevant or, at best, tangential to the main thrust of Adams’s life. While a fair criticism, this seems an inherent risk in the author’s approach. After all, we have the opportunity to spend a virtual lifetime viewing the world through John Quincy’s eyes, so it is not surprising we are witness to a few moments that could be considered dull, trivial or unnecessary. On a critical note, the book is one of the only presidential biographies I’ve read which is not exhaustively footnoted (indeed, there are no footnotes at all). Given the publisher’s emphasis that the book is based on one of the first-ever complete readings of Adams’s entire diary, it is easy to surmise where the author sourced most of his material. Nonetheless, the omission seems glaring. Overall, however, “John Quincy Adams” proves a worthwhile read and a valuable source of new insight into JQA’s personality. While this biography is not quite suitable as the “only” biography an interested fan of John Quincy Adams’s should rely on, it makes an invaluable companion to other good biographies of JQA. Written partially in the style of a Joseph Ellis character analysis and partially as a narrative history, Nagel’s biography was a fun, interesting and deeply insightful read. The book seems like an interesting read. Writing from the perspective of JQA was creative. I like authors who try to give you a different take on the subject. I completely agree. In this case, the author wrote the book from this slightly different perspective with a light touch; had it been written as a first person narrative (as if drafted by JQA himself) it would have seemed much more blunt, and probably odd. You are a man on a mission. Hard for me to complete one full presidential biography. Hard to imagine going through dozens. Thank you for finding the best and making the trudge easier on the rest of us. It is quite a mission, but a fun one for me, and doesn’t consume too much free time given the hours I spend on airplanes with little else to do. However, if I just had your talent for cooking perhaps I could justify a career change! I have just started on my own journey through the presidents. I wanted to tell you how much I love your site and look forward to each review. Thank you so much for sharing your story. A few months ago I decided to begin this quest of reading a biography of each president. My life long interest in history and more recent interest in what the heck is going on in our country led me to your site. I love being able to choose a book from a small selection with reviews I trust from others with the same interest. (I can’t believe how little has changed in politics!) I’m thinking of retiring in a couple years so I hope then to have more time to read. But for now I love this journey and Thank you so much for your thoughts on each of the selections…it sure makes it a lot easier to move forward through our past. I really enjoyed this book. The new perspective on the Adam’s family was nice and I feel I have a greater understanding of the Adam’s Presidencies than of any of the others I have read. Coming from a psychological background though I have to wonder if it was clinical depression, or if it was a bipolar disorder. I say this taking in family history of alcoholism and spending problems. In addition his frequent time taking on multiple projects, some he wouldn’t finish. He would also go a significant time without sleeping. It’s difficult to determine with what little we know about him personally. Anyways, cannot wait to start Andrew Jackson. If I keep my pace I may no longer have your reviews as a guide for selecting book! The three book series should slow me down though! Just finished this book based on your recommendation. I am reading a biography on every president in alphabetical order (I read John Ferling’s bio on John Adams) and if I don’t know a biography of that president or have already read one, I am using your “best” as a guide. Next up – Chester A. Arthur! I hope you liked Nagel’s bio of JQA…and your progression through the presidents alphabetically probably makes you the only person currently embarked on that particular adventure! I’ll admit I enjoyed reading about Chester Arthur more than I expected, but the “right” biographer could make his story even more compelling to a modern-day audience. Good luck on your journey and let me know when you find something you really enjoyed! I loved the revealing contrast between McCullough’s John Adams and Nagel’s JQ in their differing looks at Abigail. I was shocked that the loving wife could be such a critical mother. But one must have understanding and forgiveness of her considering her family history of alcoholic and disappointing males. For her immediate family to produce two American Presidents is truly remarkable, and I wish she, too, had lived to see her son win the office. Excellent point. It’s fascinating how the personality of a biographical subject can change so dramatically when viewed through the various lenses of different biographers. Abigail Adams – and Eleanor Roosevelt as well – came across as distinctly different people depending on which biography I was reading. Wow you got that right. Abigail was hell on wheels as a Mom, even essentially breaking up JQA and his first love, Mary Frazier. You know it seems to me that a lot of the early presidents had “Mommy Issues,” both Adams and Washington’s tumultuous relationship with Mary, among others. Another interesting thing: look at just about all of our presidents of the last half century or so and they seem to have “Daddy Issues.” Obama-absentee, Clinton-dead birth father/alcoholic abusive step father, Reagan-alcoholic deadbeat, Trump, JFK, Bush 1 and II-big shoes to fill, Carter-stern, unemotional, impossible to please dad. Don’t know much about LBJ or Nixon’s background. I agree whole-heartedly. The extensive diary references really makes it come alive. I think I have really gotten to know the mind of JQA more than any of the other ones, Washington through Monroe. The Sixth president is one of those rare individuals whose time “not as president” was way more interesting than his brief term in office. I highly recommend Nagel’s book, as it is very accessible to the casual reader and the non-historian. If you want a good, lively and pretty fast paced bio of an interesting political leader, this book is worth your time. 2) Being a mere professor was not in the cards for the son of John Adams. He entered law practice, but never really enjoyed the profession as his father did. One of the things Adams felt “bound by duty” probably. 3) As others have commented here, perhaps the most amazing thing I found was that, despite her reputation as a great wife, writer, and thinker, Abagail Adams was a terrible mother. :-) Nothing was ever good enough from young Johnny; she constantly belittled him and criticized him in her voluminous correspondence. She even broke up his relationship with Mary Frazier, his first true love. Interestingly enough JQA never even attended her funeral. 4) Interestingly enough JQA was pretty demanding of his own kids, leading to their frustrated attempts to fill big shoes. His oldest son George committed suicide and his second son drank himself to death. Hmmm paging Dr. Freud……. 5) I have to sigh when I read about John Quincy Adams travelling through Europe on his own between the ages of 13-15! Can you imagine? In today’s world high school students aren’t allowed to go to other people’s homes and parents walk their ten year olds to my door on Halloween, but a young teen was able to look after himself while travelling to such places as St. Petersburg, Paris and the Netherlands. 6) Adams served in the House, the Senate, as Ambassador to Russia and Great Britain and was on the peace commission to settle the War of 1812. And oh yeah he was president for one relatively uneventful term. 7) His presidency was star-crossed from the first in 1824, as he was awarded the presidency by the House after no one received a majority of electoral votes. Henry Clay’s support gave it to Adams, even though Andrew Jackson had won the highest plurality of votes, so he was pretty hamstrung by being the first minority president. After losing to Jackson he was elected to the House again and served with distinction. Instead of retiring to the sidelines he was back in the political fray, and it was during this time that Adams’ views on slavery and the coming disunion came to the forefront. Prior to this and even during his presidency Adams was not a vocal opponent of slavery. He seemed to be in that live and let live vein of the old Federalists, who recognized it as part of the country and its founding, even if an evil practice. But as he saw the slave states exercise their power, even forcing a gag order in the House, where petitions to interfere with the peculiar institutions would not even be brought to the floor, and JQA’s sense of justice came to the forefront. Remember he defended the slaves who revolted on the Amistad, and was against the Mexican War, and Texas’s admission to the Union, as it would increase the power of the slave states. Personally I got the idea that Adams saw the fracturing of the union on the horizon and he chose to take a stand on the side he thought was correct. 8) And related to the last part is my one small criticism of the book. Nagel doesn’t give enough background information on the Second Political Party System, as, after Monroe’s one party era, the Whigs and National Republicans split from the Jacksonian Democrats. Adams actually was part of the short –lived Anti Masonic party before becoming a Whig. A bit more explanation of the background here would have been helpful, beyond the basic idea that Adams hated and detested Andrew Jackson and his followers.